The U.S. Bureau of Labor Statistics reports that unemployment rates, both regional and state, fell slightly during December 2011. Of the 51 states plus D.C., 37 realized unemployment rate decreases, three posted rate increases, and 10 were unchanged. During the period between December 2010 and December 2011, 46 states reported unemployment rate decreases, and four reported rate increases. 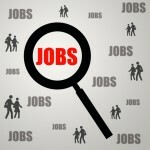 The December 2011 national unemployment rate of 8.5 percent was 0.9 percent lower than a year earlier. Nonfarm employment rose in 25 states plus D.C., fell in 24 states, and did not change in one state. Texas experienced the greatest increase during the month reporting over 20,000 new employees over November. Indiana and California followed Texas with 15,000 and 10,700 new employees, respectively. The largest overall decreases for the month were reported in Missouri and Washington with 11,800 and 11,600 newly jobless workers, respectively. The state reporting the highest increase in employment rate was South Dakota, gaining 1.1 percentage points. The highest decreased employment took place in Nevada which fell by 0.9 percent. Over-the-year employment increases were greatest in North Dakota (5.7 percent), Utah (3 percent), and Oklahoma (2.7 percent). Over-the-year employment decreases were lead by Delaware (0.7 percent), Alaska (0.5 percent), and Georgia (0.4 percent). Regional unemployment rates were highest in the West during December, recording a rate of 9.7 percent. The regions with the lowest unemployment rates were the Midwest and Northeast, both reporting a rate of 7.9 percent. All regions experienced significant over-the-year decreases lead by the West (1.3 percent), the South (0.9 percent), the Midwest (0.8 percent), and the Northeast (0.5 percent).